Prabhupada: No. The thing is these western churches, just like Christianity, these gospels were spoken long, long ago to the primitive men, you see? Jerusalem. These people were living in desert, and they were not so much advanced. So at that time... Of course, in Bible or in the Old Testament, the idea of God is there, that is all nice. But they... Just like the statement, "God created this world." That is a fact. Now those people who are not advanced in those... Now, at the present moment, people are advanced scientifically. They want to know how the creation has taken place. You see? That explanation is not there, neither the church can give them. You see. Therefore they are not satisfied. Simply officially going to the church and offering prayer, that does not appeal to them. Besides that, practically, they do not follow religious principles. Just like in the Old Testament, there is, I mean to say, Ten Commandments, and there is Commandment that "Thou shall not kill." But killing affair is very prominent in the Christian world. They are maintaining slaughterhouse very regularly, and they have manufactured a theory that animals have no soul, they do not feel--because they have to kill. "Give the dog a bad name and hang it." Why animal cannot feel? Why you are committing these sinful activities? So the priestly class, they will not also say, they will not discuss, everyone is silent. That means deliberately, I mean to say, disobeying Ten Commandments. So where is religious principle? If you don't obey the commandments of your scripture does it mean that you are following a religion nicely? How you can kill which you cannot create? And it is plainly stated there, "Thou shall not kill." What is the answer? Why they are killing? What is the answer? How do you answer it? 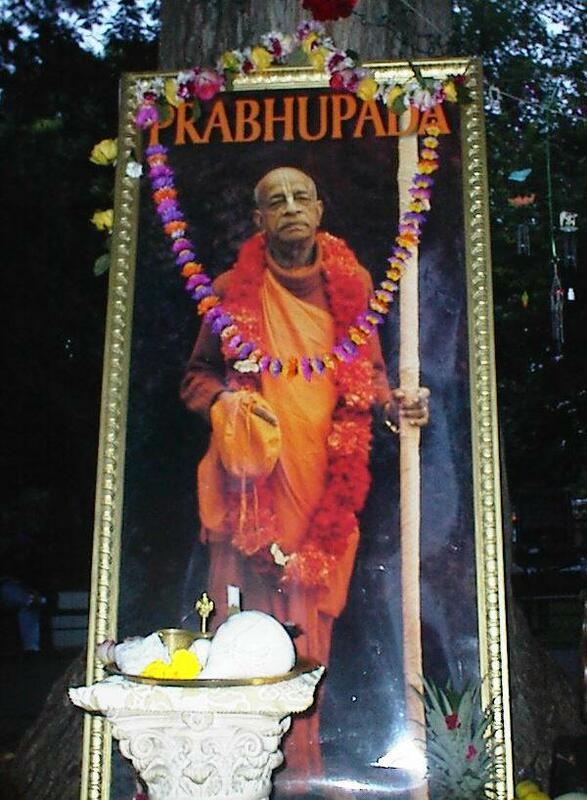 Prabhupada: May, may I ask you one question? Jesus says: "Thou shalt not kill." So why Christian people are killing? Prabhupada:....they are maintaining cows for slaughtering. Why? In these Commandments it is clearly said that "Thou shalt not kill." Prabhupada: So it is the duty of the Christians. But they are also... What can I say? They are passing resolution according to the time, changing the instruction of Bible. How they can be fixed-up? Our standard is Bhagavad-gita As It Is. We accept guru as representative of Krsna, the Supreme Personality of Godhead. If he speaks what Krsna has spoken, then he is guru. Similar in Christianity, if they actually take care that whether one is speaking according to the Ten Commandments, if he is living according to the rules and regulations of the Ten Commandments, then he is guru. Why people accept them? Because they are ignorant, they do not know who is real and who is fake. But the standard is there. Take for example in the Bible, it is said "Thou shalt not kill." But everyone is killing. Killing is the business of the Christians. They are maintaining big, big slaughterhouse. We are maintaining cows here, and there are others, they are maintaining cows for slaughtering. Why? In these Commandments it is clearly said that "Thou shalt not kill." How they will detect? If they are violating themselves the laws, how they will punish the lawbreaker? "Physician, heal thyself." The physician himself is diseased, and he's going to treat other patients. Jesus Christ and Muhammad, two powerful devotees of the Lord, have done tremendous service on behalf of the Lord on the surface of the globe. The above-mentioned historical names are different nations of the world. Even those who are constantly engaged in sinful acts are all corrigible to the standard of perfect human beings if they take shelter of the devotees of the Lord. Jesus Christ and Muhammad, two powerful devotees of the Lord, have done tremendous service on behalf of the Lord on the surface of the globe. And from the version of Srila Sukadeva Gosvami it appears that instead of running a godless civilization in the present context of the world situation, if the leadership of world affairs is entrusted to the devotees of the Lord, for which a worldwide organization under the name and style of the International Society for Krishna Consciousness has already been started, then by the grace of the Almighty Lord there can be a thorough change of heart in human beings all over the world because the devotees of the Lord are able authorities to effect such a change by purifying the dust-worn minds of the people in general. The politicians of the world may remain in their respective positions because the pure devotees of the Lord are not interested in political leadership or diplomatic implications. The devotees are interested only in seeing that the people in general are not misguided by political propaganda and in seeing that the valuable life of a human being is not spoiled in following a type of civilization which is ultimately doomed. If the politicians, therefore, would be guided by the good counsel of the devotees, then certainly there would be a great change in the world situation by the purifying propaganda of the devotees, as shown by Lord Caitanya. As Sukadeva Gosvami began his prayer by discussing the word yat-kirtanam, so also Lord Caitanya recommended that simply by glorifying the Lord's holy name, a tremendous change of heart can take place by which the complete misunderstanding between the human nations created by politicians can at once be extinguished. And after the extinction of the fire of misunderstanding, other profits will follow. The destination is to go back home, back to Godhead, as we have several times discussed in these pages. Sri1a Prabhupada: Yes. The first point is that they violate the commandment "Thou shalt not kill" by maintaining slaughterhouses. Do you agree that this commandment is being violated?